Company Partners Blog » What will make my business more attractive to Investors? Investors have a lot of choice and you are in competition with all other investment opportunities, the final decision on which gets investment will be those with the best combination of good sustainable profit and lowest risk. That may not be the highest profit, or the least risk, but an acceptable (to that Investor) mixture of the two. Great ideas are a dime a dozen and investors have heard all the hype before, the more you can do to show your concept works and people will buy it, the better your chances of investment. - Have you invested your own money in this? Investors like to see that you are committed and taking the same risks that they are. Sometimes your own funds may not allow much opportunity to do so; in which case you will need to talk about the other commitments you’ve made to the business. In the UK there is the Enterprise Investment Scheme (EIS), in the USA there are local State incentives to encourage new small businesses in their area. Some States have more advantageous and flexible tax breaks if you incorporate there, such as Delaware, Nevada and Wyoming. Where ever you are, look into such incentives and show Investors you are knowledgeable. Don’t expect free grants to be available anywhere however, those days are past. Investors will expect you to use their investment to grow the business. Not mainly to pay you a salary or provide you with corporate luxuries. Show you are using the lean start-up principle; you can begin taking a better salary and working conditions as the profit grows. 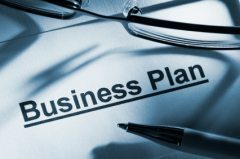 Finally, make sure your plan is clear and that you are able to describe in a sentence what your business does. In one more sentence you should be able to describe your business model (how you will make money from the activity). Clarity goes a long way in convincing Investors that you know what you are doing and that they can intrust their funds to you. « Do I need a Business Partner?